The Pub is a very handsomely appointed place that seats around 100 or so. It features lots of stone and dark polished wood and has a lovely view of the National Art Gallery and Parliament. There is also a very pleasant patio at the side of the building that, although closed at present, must be very nice in the summertime. The place remained surprisingly empty for most of my visit and I took a very nice seat by the front windows. The waitress who served me brought me coffee immediately and was very pleasant and chatty. When I notice that my table was a little unbalanced and wobbly, she helped me to fix it right away and was always on hand whenever my glass looked perilously close to becoming empty. 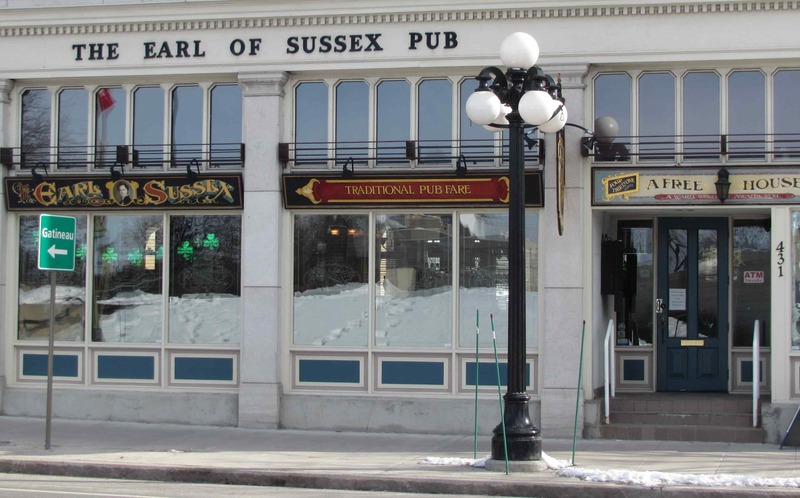 The Earl of Sussex, being a Pub rather than a restaurant, features much the sort of fare as you would expect in such a place, leaning to burgers, fish and chips, and the like. 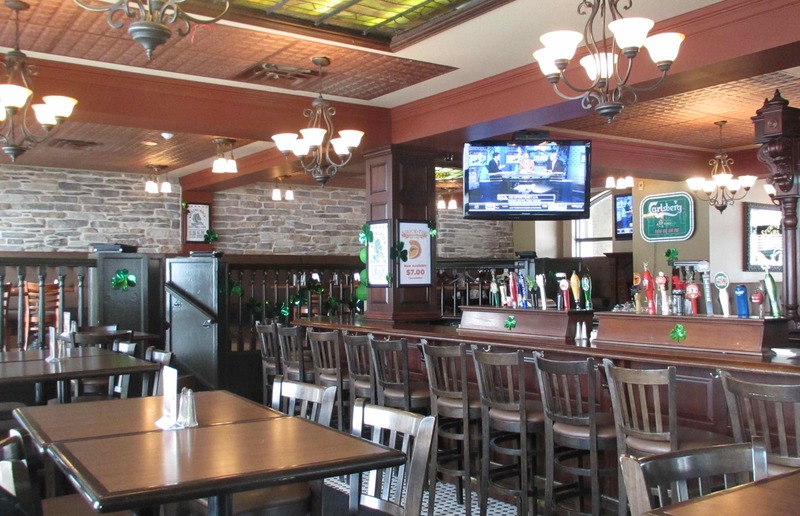 On Saturdays, they feature a brunch between 10am and 4pm, but on this particular occasion, none of the various offerings appealed to me and I sampled a number of drafts and bottled beers until 3pm when the usual lunch menu also becomes available. 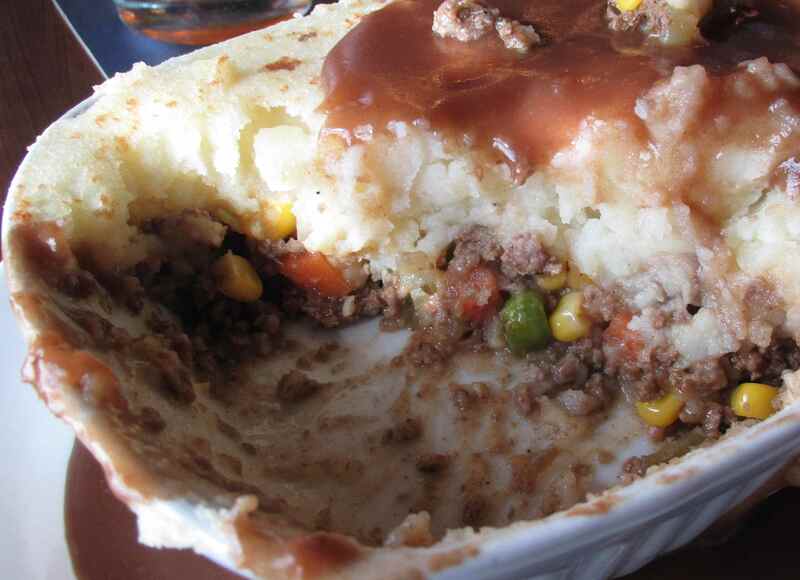 Shepherds Pie – I don’t often order Shepherds Pie in restaurants as I much prefer my own home made version, but I decided to give this one a try and found it fairly decent. It was certainly a generous size and very filling but I have to say that I didn’t care for the gravy on top. 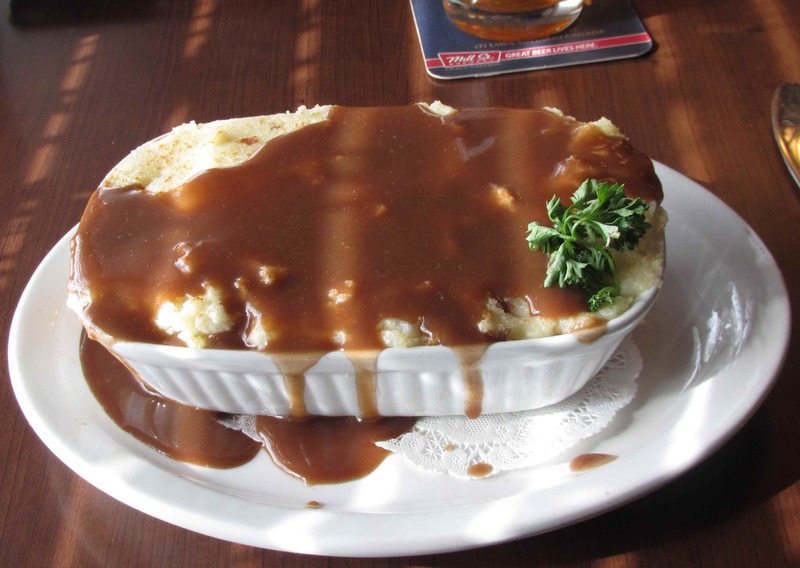 Even if it had been a much better gravy than the commercial, powdered mix type served here, gravy on top of Shepherds Pie just seemed wrong. As with most restaurant offerings, the pie was heavy on the potato and vegetables rather than meat, but it was still very nicely rich and tasty. The only thing I found a little jarring was the use of cumin. I love cumin in almost anything but it seemed a little out of place here. Despite this, I enjoyed it as a whole and give it a rating of 3 out of 5. Someday, I would love to visit this place in the evening when there is a bit of a crowd but, for a Saturday afternoon, it is a very nice and comfortable place to while away a few hours (well… almost 6 hours, in my case). I don’t see myself rushing back there for the food, especially, but I still enjoyed my meal and received excellent service. Rating: 4 out of 5. We went as a party of 8, from the beginning the waitress was not friendly. After waiting a lengthy time for pub food, I received my chicken wrap. I took one bite and was not happy. It tasted like fish. After 15 min of the server not being in sight , I finally was able to flag her down to tell her. She said thats what it’s suppose to taste like. I told her to please take it away from me. She never asked me if I wanted anything else. When receiving the bill ( ordered nachos and beer too) the wrap appeared on it. I told her this must be a mistake and she said that I will be paying for it as there was nothing wrong with it. I asked for the manager. The server kept arguing with me stating the manager will not be removing it from the bill. When the manager came over (10 min later) He asked me how many bites I took ( which was very unprofessional to even ask that question ) after I said one bite he said okay we will take it off the bill. When tiping I gave her 10% tip ( shes lucky to even of gotten one), as she did an awful job. When getting up to leave the manager (in front of the whole restaurant ) started yelling at me and telling me how I gave the server a horrible tip and that now she has to pay for it. The manager then told me I was never welcomed back ( which is fine cause I never was going back ). I have never experienced such an awful experience in my life. I will be spreading the word to everyone I know and to NEVER go to this awful, tacky restaurant!